It is forbidden to cut the leafy branches during the winter in order to avoid the potential damage that frost may cause. The olive tree grower takes care of the trunks and fertilizes the land with bovine manure. The first warmth of late March marks the beginning of pruning which is the second greatest task after the harvest. This activity goes on until May and it gives the tree a correct shape not only to make the harvest easier but also, to renew the branches while removing the old ones which have already offered their product. Nowadays, olives trees height is lowered in order to make them more reachable. 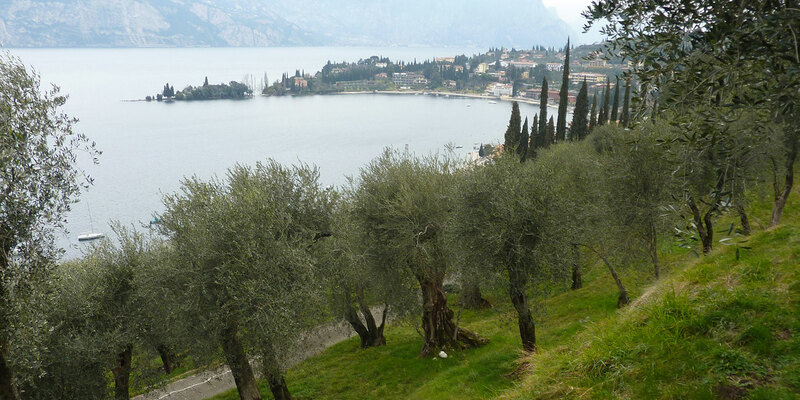 This is a huge issue in Malcesine as it is not always possible to reduce the tree height because of the high amount of centuries-old plants whose height is not always reducible. Therefore, there are many beautiful olive trees which are also difficult to cultivate. 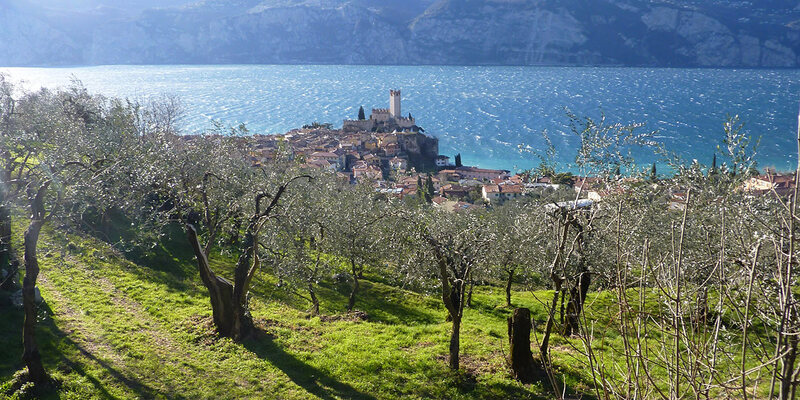 For this reasons, olive tree growers have been defined “gardeners” of the territory in Malcesine. The outcome of a whole year depends on few days. Too much rain, the cold, heat waves can have a bad influence on fruit set stage as well as drupes development. The olive must be as big as a pepper grain by the end of June. The most challenging task for the growers in the summer is fighting against the olive fruit fly. This is a very dangerous parasite able to determine the loss of a whole harvest in case of wet and rainy summer. In order to protect the olive oil quality and people’s health, eco-friendly traps are spread out on the whole territory to capture the flies. The fly is attracted by the bags’ smell and, once it lies on them, it get poisoned and dies. This technique allows growers to avoid using antiparasitic treatments. According to the tradition the harvest must start after All Saints at the beginning of November. Nowadays, in order to improve olive oil quality, the harvest is moved up to 20-25 October. To climb on olive trees, growers use special and unique tools. The most symbolic of all is a particular kind of ladders called “scalino”. Growers pick up drupes that fall from the plants on nets or cloths placed on the ground under the trees. After that, the olives are immediately delivered to the mill for the pressing.